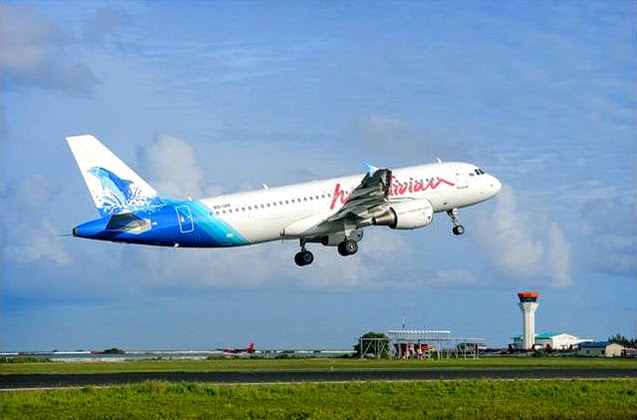 The first of a series of chartered direct flights of Maldivian Airlines from Bangkok arrived this evening at Ibrahim Nasir International Airport. The next flights are scheduled to arrive on the 21st and 25th of September. This is the first time direct flights from Bangkok are operated by the national carrier, Maldivian. According to Maldivian, Bangkok is expected be added to the list of permanent travel destinations of the Airline. Today’s inaugural charter brought in 116 passengers from Bangkok. 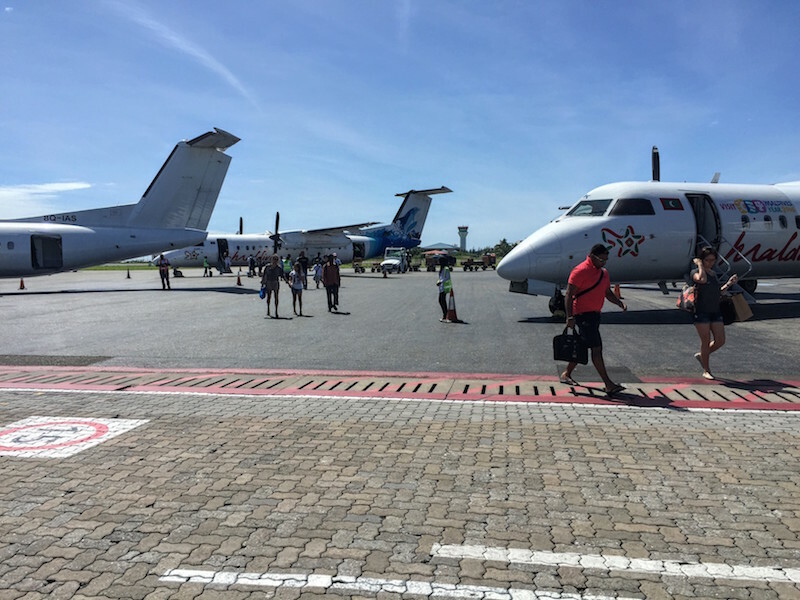 The arrivals included the Thai Ambassador for Sri Lanka & Maldives, businessmen, politicians, doctors, general military personnel, media and representatives from Thai tourism industry. They were warmly welcomed by the officials of Maldivian, Maldives Airports Company Limited and the Maldives Marketing & PR Corporation followed by colourful cultural performances by ‘Bidhabin Boduberu’ group. The South East Asian market is a high potential market which has shown an increase in outbound travel trend in the recent years. With its close proximity to the destination Maldives, the Thailand market holds good potential for growth. Thailand is currently the second biggest tourist generator to the Maldives from the South East Asian region, closely after Singapore. 8,616 arrivals were recorded from Thailand from January to July 2015. This is an increase of 14.4% to the same period in 2014. Commencement of direct flights from Bangkok would undoubtedly help boost the Thailand market as well as the overall regional market share to the Maldives. This would in turn help achieve the arrival targets of 2015 and that of the Visit Maldives Year 2016.